The 2010 event offered 5 tracks including the two special theme tracks "Women in IT" and "Lightweight Computing". "It is fascinating to see so many girls participating. I am very happy that we have chosen 'Women in IT' as a theme as it attracted many students to join us." The heated debate during the panel definitely portrayed some of the issues and challenges young female developers face. I hope that it made many of the younger women more interested in participating in the community. 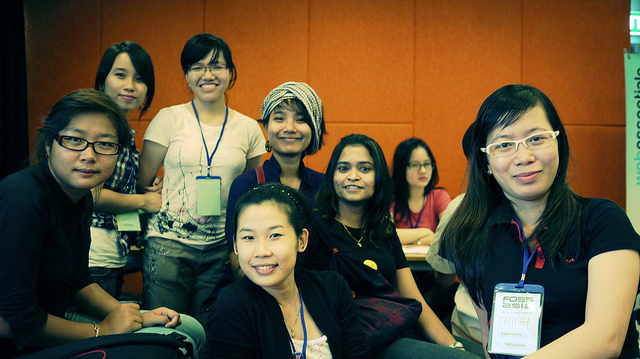 I am excited to see more involvement of women in IT in Asia in the near future" said Lilly Nguyen from the US. The "Lightweight Computing" track also generated a lot of interest. Lubuntu, the lightweight version of Ubuntu, attracted the attention of local developers. Additionally, mobile solutions such as Android and Xpad/Xpud were covered in several presentations by Ping-Hsun Chen (Taiwan), Pham Huu Ngon (Vietnam) and Tan Quang Sang (Vietnam). FOSSASIA was particularly happy to welcome the OpenOffice.org community who sponsored the event. As head of the Vietnamese OOo localization team, Vu Do Quynh from Hanoilug presented on the various ways that people could contribute to the OOo community while Yutaka Niibe and Yukiharu Yabuki presented on OOo's use by the Japenese government in the Osaka Prefecture. "It was AWESOME. At first I thought most of them were there due to their teachers, but when we started a Q&A session I realized I was so wrong… they were asking about PAE kernels, broadcom drivers, dual boot and LVM etc! By the end of the party we gave out T-shirts, LiveCDs and stickers to everyone, all 134 people where there! I believe that sets a new fedora record! The local Vietnamese community was introduced and many people are already starting to send emails wanting to start translating." In the web track, Colin Charles (Malaysia) presented the newest improvements of MariaDB. In addition, Michael Howden (New Zealand) conducted a workshop for Sahane Eden, a platform to provide support in the case of disasters. The workshop gave students a chance understand the information needs of disaster scenarios and they were able to contribute to the localization of the software. Taking a cue from previous barcamps and 'unconferences,' many attendees presented lightning talks. 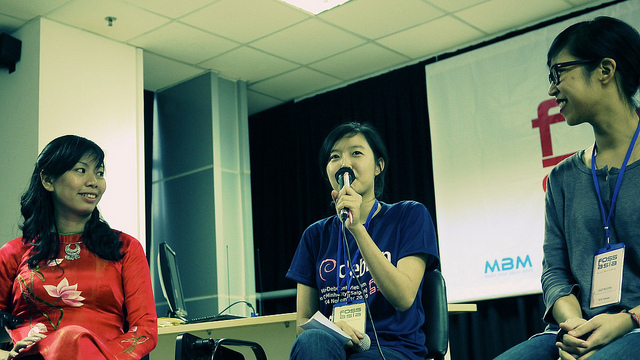 Preetam Rai, an Android App inventor, shared photos and tales about other barcamps throughout Southeast Asia. Mary Agnes James from Seacem spoke about todays chances to connect and share with e-media and social networks. Seacem also graciously sponsored this event. 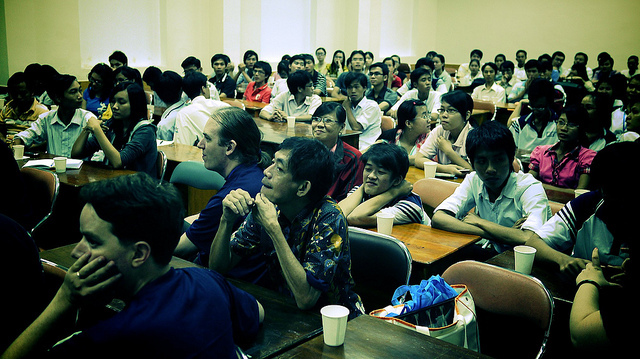 During the final day of the event, FOSSASIA held it's first Libre Graphics Day. Arne Goetje (Germany/Taiwan) introduced his new approach for a pan-Asian fonts library. Jon Philips (US) from Status.net and Dave Crossland (UK) from the Google Fonts project conducted an Open Design Workshop. The workshops brought curious crowds and has ultimately seeded plans for the Open Design Weeks. Thanks again to the amazing crowd at FOSSASIA - developers, translators, event organizers, bloggers, teachers, students, designers and lost but not least our enthusiastic volunteers! See you all in 2011! * The Open Design Weeks will be celebrated from in Ho Chi Minh City and Can Tho in the Mekong Delta.